At Nuprint we place great value on our staff and understand that it’s their skills and passion which drive us forward as a business. That’s why we’re always investing in new learning and team building opportunities for our employees, as well as promoting their general health and wellbeing through workshops and other activities. Our Wellbeing Programme regularly invites speakers to deliver workshops and presentations. We have had sessions covering topics such as: Healthy Eating, Mental Health Awareness, Drink, Drugs, Work and Me, Men’s and Ladies’ Cancer Awareness and Employee Health Checks. Once a month our Healthy Lunch day ensures that staff get their 5-a-day courtesy of Nuprint. 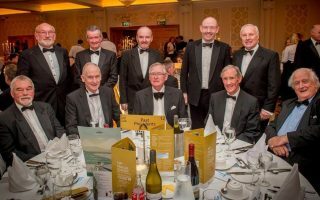 Each year Nuprint participates in a number of fund-raising events and we will also support staff who have a particular charity that they wish to adopt. Whilst providing vital funds for local charities, events such as the Hard as Oak 10km challenge are great for team-building with Managing Director Gavin Killeen joining in the fun alongside everyone else. Permanent staff have the opportunity to join the Hospital Saturday Fund (HSF) to which Nuprint contributes a weekly allowance. The Government’s Cycle to Work Scheme is also open to eligible employees allowing them to save money and spread the cost of buying a new bike to come to work. 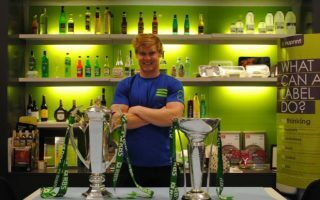 After a year of hard work staff can let their hair down at the annual Christmas party. Last year Santa (supporting Foyle Hospice) came early in the day with pizza and presents for everyone. 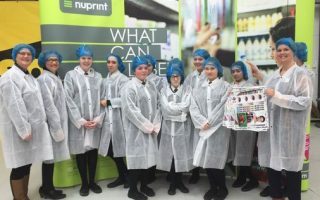 Whether it’s visiting schools to talk about the print industry, showing students around our factory, or participating in local events, Nuprint is keen to support the community whenever we can. 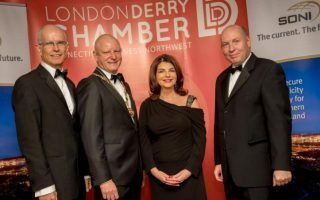 Being active members in various organisations such as Londonderry Chamber of Commerce, Business In The Community and Arts & Business Northern Ireland, ensures we are involved and at the forefront of local issues. Working closely with School Employer Connections, we regularly provide work experience for students from local schools. We also accommodate foreign language student placements from countries such as Italy, Spain, Germany, Finland and Poland. Our team actively supports Young Enterprise, speaking at schools and providing information on apprenticeships and the wide range of careers available in industry. Nuprint is a member of Sedex, underpinning our commitment to ethical sourcing and responsible trading. We aim to provide the best possible working environment for our staff.